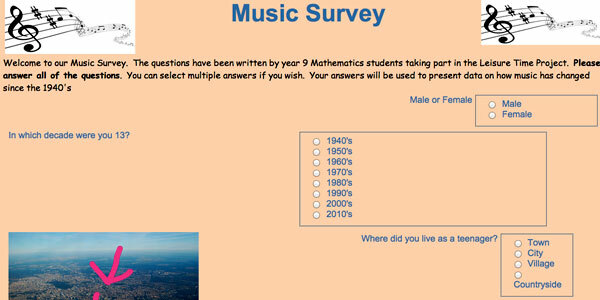 As part of the FreeTime project Maths Year 9 at Thomas Hardye school have written a survey to see “How music Has Changed Since the 1940’s”. It would also be really helpful if you could also circulate it to your contacts. We are looking for not just young people to complete this questionnaire, but as you will see from the questions asked, people of all ages. Many Thanks for your support in helping us collect as large a data set as possible from a large age range. The students are currently trying to work on the data they have collected and are finding it really interesting! They will be presenting their findings at a later date.